Rob graduated from Gordon College in Wenham, MA and wanted to return home to Maine for his medical training and career. He attended UNECOM followed by a residency in family medicine at Maine Medical Center, in Portland, ME. He then entered the inaugural class of Maine-Dartmouth’s sports medicine fellowship in 2013, where he worked with the Cony High School, Colby College and Bates College athletic teams. Upon completion of his fellowship, he joined the Oakland Family Medicine office along with the MaineGeneral Orthopedics office, where he shares his time. Currently, he is the team physician for Messalonskee High School. He has also provided medical coverage for several mass participation events, including the Dempsey Challenge and the Maine Marathon. He has spoken at several conferences on sports related injuries and received the award for best case presentation at the national American Medical Society for Sports Medicine meeting in 2014. 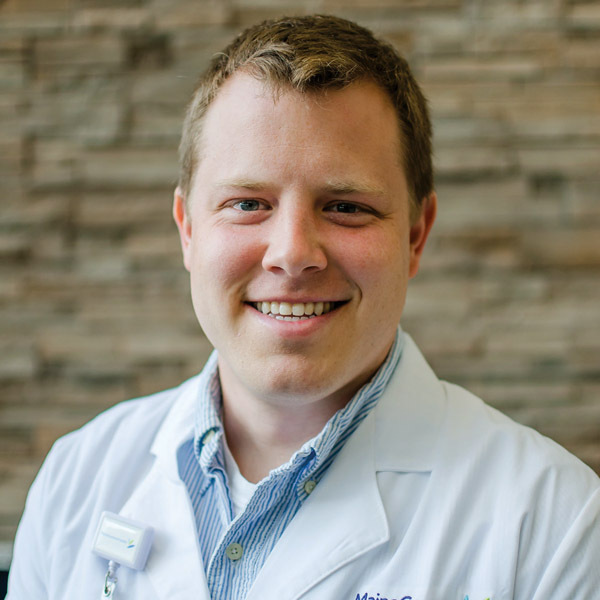 He is involved in teaching with the family medicine residency and the sports medicine fellowship. Rob and his wife Julie have three young children and an active home life. His hobbies include spending time with family, running, playing basketball, hiking/camping and multiple activities within their local church, including leading music.